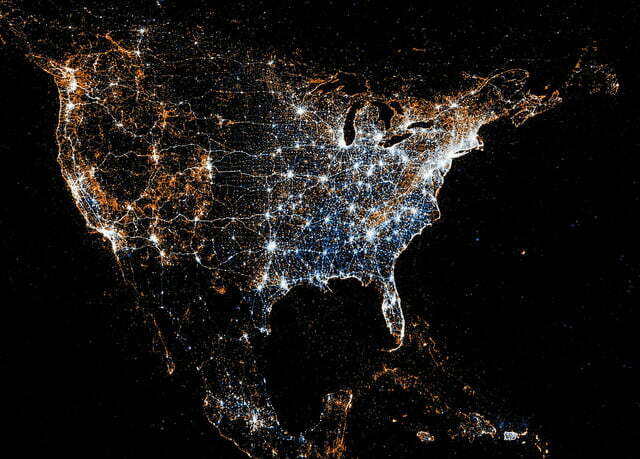 No, these are not more satellite images of how our planet looks under the cover of darkness. 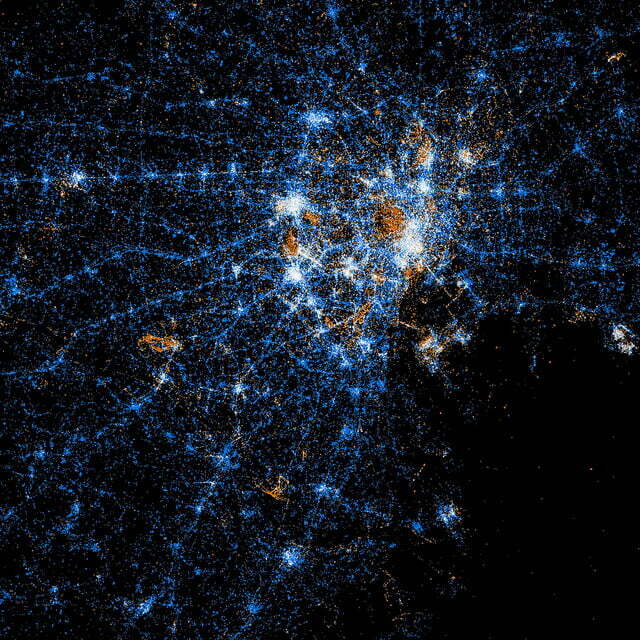 Instead, they are visualizations of Twitter and Flickr use, created by map enthusiast Eric Fischer. The fascinating images give an indication as to the level of our social-networking obsession, with some parts of the world beaming brightly, while others stay lost in the shadows. 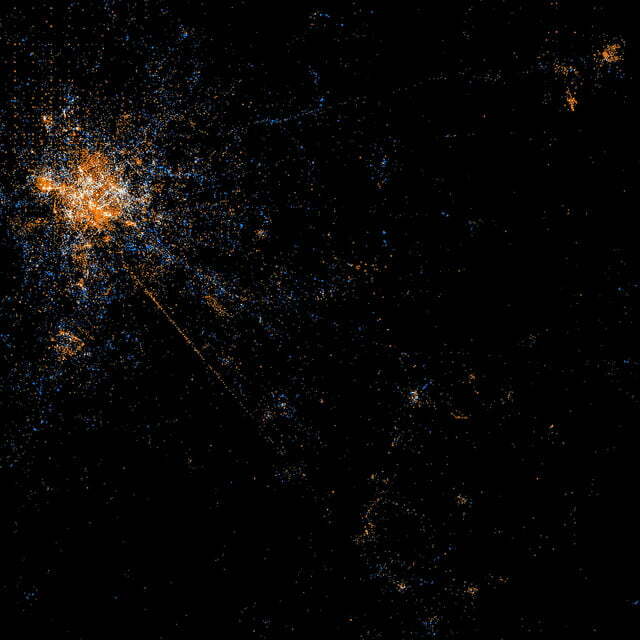 Fischer used red dots to show geo-tagged Flickr pics, blue dots to show tweets and white for both. Maps include those of several cities, the US, Europe, and one of the entire world. 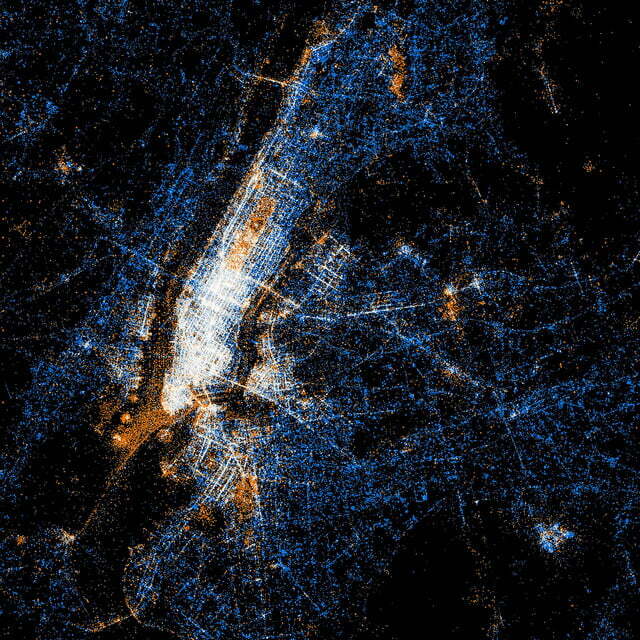 Of all the city maps, New York comes out blazing. Lower Manhattan is a virtual sea of white, while part of the Hudson and the water down by Battery Park are mostly red – no doubt hordes of tourists on pleasure boats snapping merrily away…. Central London also shines brightly, with the city’s parks denoted by pools of red. The Thames, snaking from left to right, is evidently another area popular with snappers…. 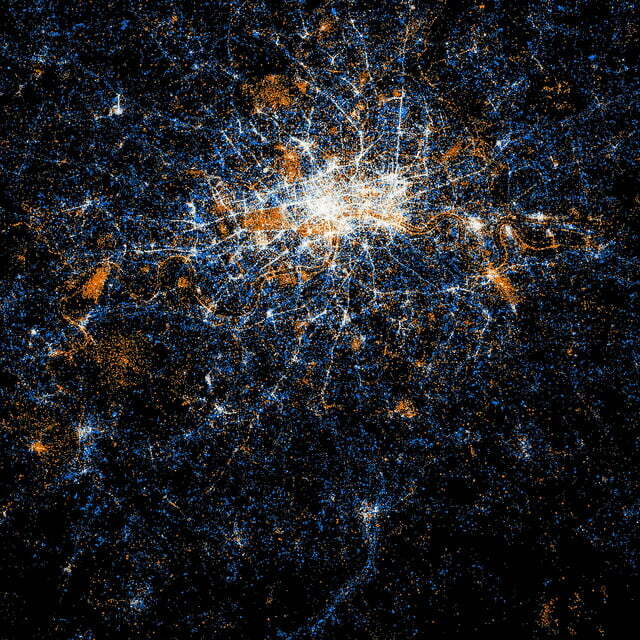 Tokyo is dominated by blue, a reflection of Twitter’s popularity in Japan. The lack of red in the country’s capital is most likely the result of Flickr’s absence of a Japanese-language site…. Judging by the image of Berlin, it looks as though Twitter hasn’t quite reached the German capital yet…. 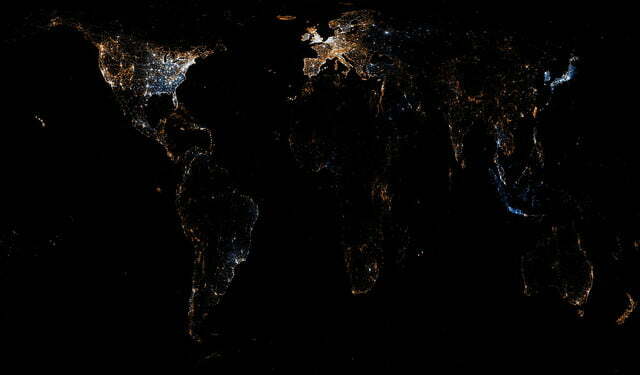 Fischer’s map of the world clearly shows Twitter and Flickr have much room for growth…. The images take Fischer less than 45 minutes to create – 40 minutes to set up the file data (drawn from Flickr and Twitter APIs) and three minutes to make the image itself. Twitter recently said that users are sending more than 200 million tweets a day, while Flickr is thought to have more than 60 million members around the world.